Joshua Francis: Getting his feet wet, but just his feet. Joshua Francis, the man who is expected to run on the United Workers Party (UWP) ticket in the Roseau South constituency says that while he has not yet officially declared himself a candidate he has passed the major hurdle to take part in the race. Francis, in previous interview, indicated that while he was interested in running he first needed to get clearance from his family. "I have passed the hurdle of getting my family's blessings…I have that now as far as being a candidate in the next general elections is concerned. If I were to contest I will be a candidate for the UWP to operate in the interest of the Roseau South," he said. "Let not your heart be troubled. I have not officially declared myself as a candidate. I have a few matters to take care of and when that is done I will make my position to the people of Dominica crystal clear." According to Francis, he is on the "ground" meeting the people, hearing their plights and concerns and taking notes. He is also making an analysis of the strengths of Ambrose George the DLP candidate and also what type of support he will gather if he takes the plunge. 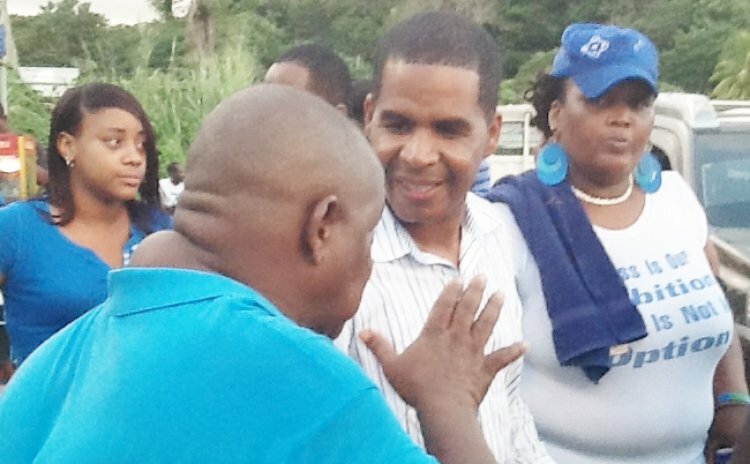 Francis, an attorney at law, has labeled his interaction with the people in the Roseau South constituency as "bitter-sweet." "The sweet experience is that lots of people have pledged to support me. The bitter experience is that I meet a significant number of people across the social ladder, poor, frustrated, unemployed, those with shattered dreams, the young and the old and all. Also, I have had a very nice experience meeting the people, sharing love and speaking to the people and hearing of the plights and concerns and for me that is gratifying," he stated. He brushed aside comments about his inability to win the seat from the incumbent DLP candidate who won handsomely in the 2009 general elections. "I have not even made myself officially available and you are hearing the government people at my heels. My name has attracted the Labour Party in full force, they have been in Loubiere, Bath Estate, Silver Lake and elsewhere…promises are being made and I welcome that," Francis said. "I have not yet officially declared myself and it is clear they have serious concerns. They ought not to be worried because it's about the people, I want to improve the lives of the people of the Roseau South constituency and that's my aim and dream and the DLP should be also concerned about that."